It doesn’t take much to describe a certain thing or a situation as weird. Of course, everyone has their own personal point of view, but if the majority of people consider something to be normal, everything that is different from that perception is either weird or simply not right in another way. The list below shows examples of weird things and situations that appear to be controversial ideas. It seems that sometimes people simply do what they want to despite the fact they know they are risking something. This often leads to fails or poor results. In other cases cases taking a strange action might actually turn out to be a good thing after all. When entering a bookstore or a library, there is a certain way of making your way around. You know how that works – there are multiple aisles and all the books are arranged by different criteria. When you know the type of book you are looking, you just head for that aisle. You want a specific type of book? You just ask a staff member and they find the book for you. 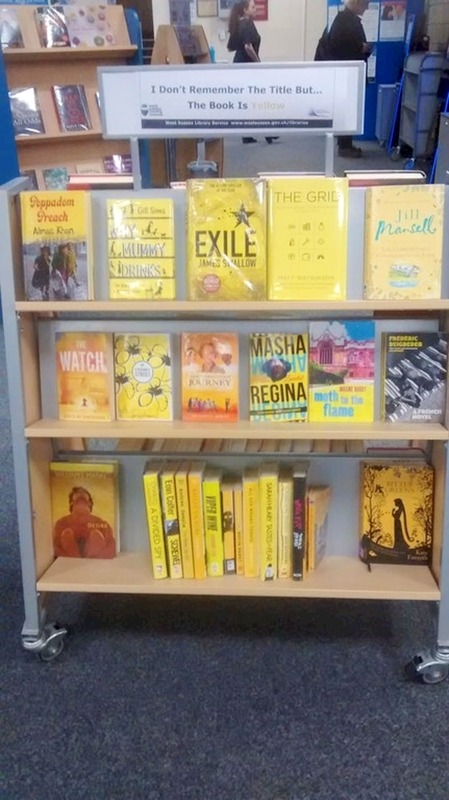 Asking for assistance is essential because even if you find the aisle, there might be hundreds of books to check before you find the right one. However, there are times when people do not remember the title, so the idea about this bookstand might not be as funny as it looks like. Well, we are actually divided in our opinion about this one. First, we need to specify that this is not a product only ladies use. Many men consider this to be something reserved only for women, but it is not so! We believe that lip balms are an essential product, especially when winter time comes. However, these balms used to have really trivial flavors until now! 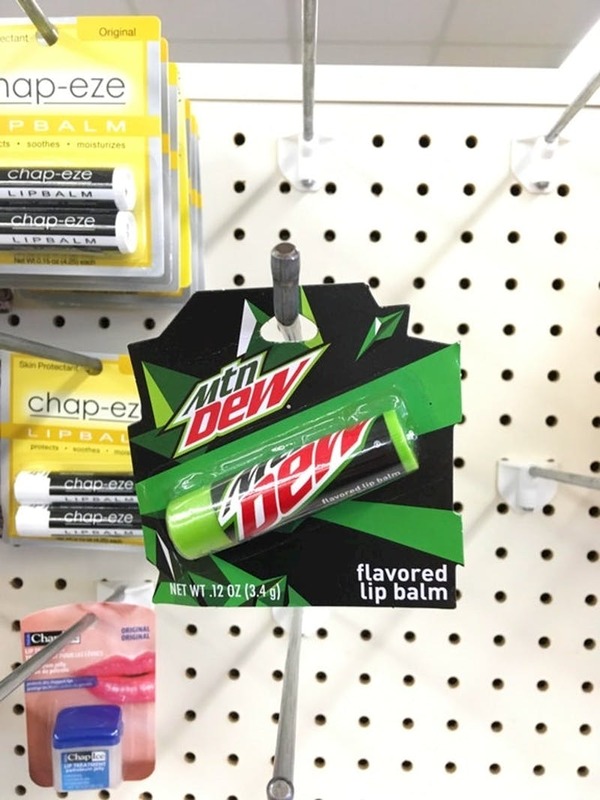 Someone decided that it was a good idea for this Mountain Dew-flavored lip balm to exist, and we are sure some people would eat it like a chocolate bar! As you have probably noticed, designers constantly try to come up with different ideas, most of which can be described as weird, with the sole purpose to stand out! Every designer would like to be known for making an impact and this is why they make bold decisions. However, even the smaller and seemingly insignificant details can be turned into a weird feature for the sake of showing a different style. 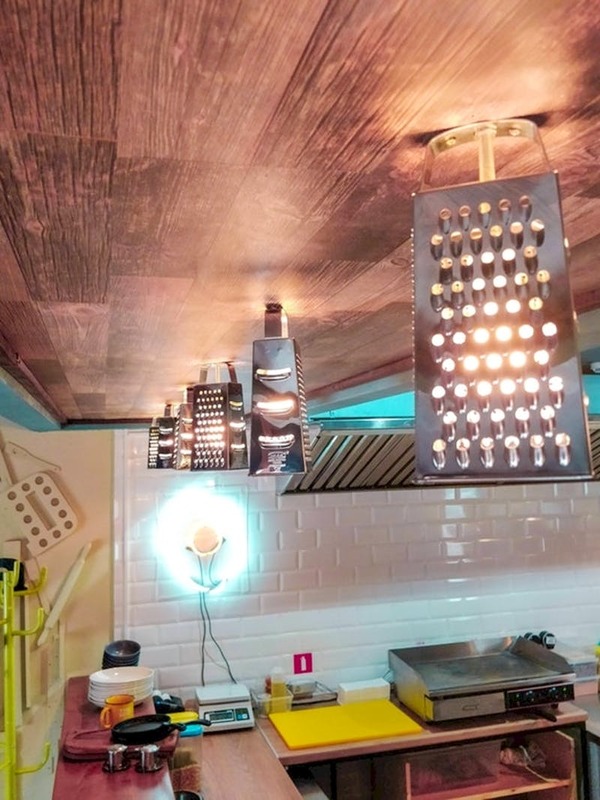 Perhaps this was the reason someone decided to use graters for the lighting setup of this kitchen, but we are not sure that they suit the interior. It is a matter of taste, after all. Some ideas are bad from the start, but whoever came up with this idea probably failed to realize that this would be one these bad ideas! We mean, how do you imagine that someone goes to a fancy dinner and they are given the chance to catch their dinner with a crane, just like those machines full of stuffed toys outside big stores? It was probably intended to be a marketing stunt, but it will not be a successful one. If you want to launch a successful product on the market, you need to do your homework first! That means that time and money need to be invested in marketing research and analysis. This is a vital part of every business venture; otherwise things could go down with a bang! 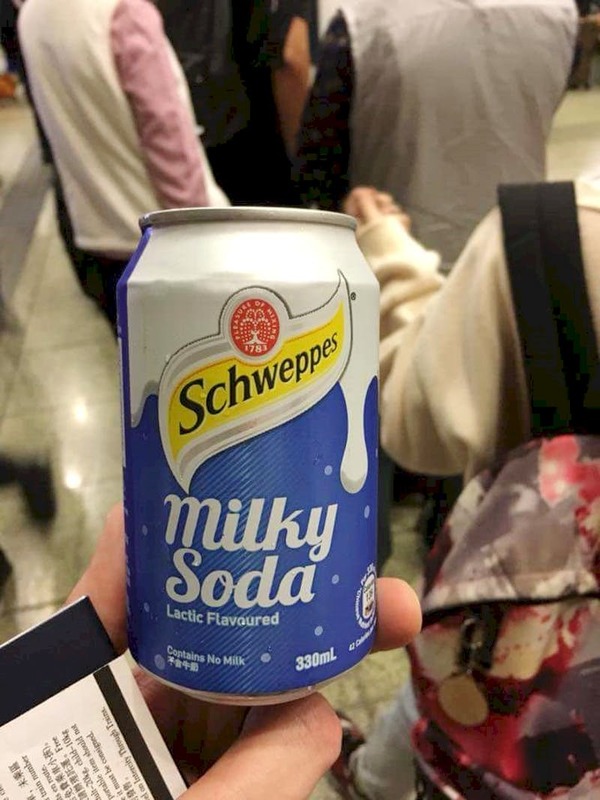 We are pretty sure that the corporation behind this brand made all the necessary steps before launching it and this is what puzzles us – any product combining soda and milk in any way must be a huge no-no! 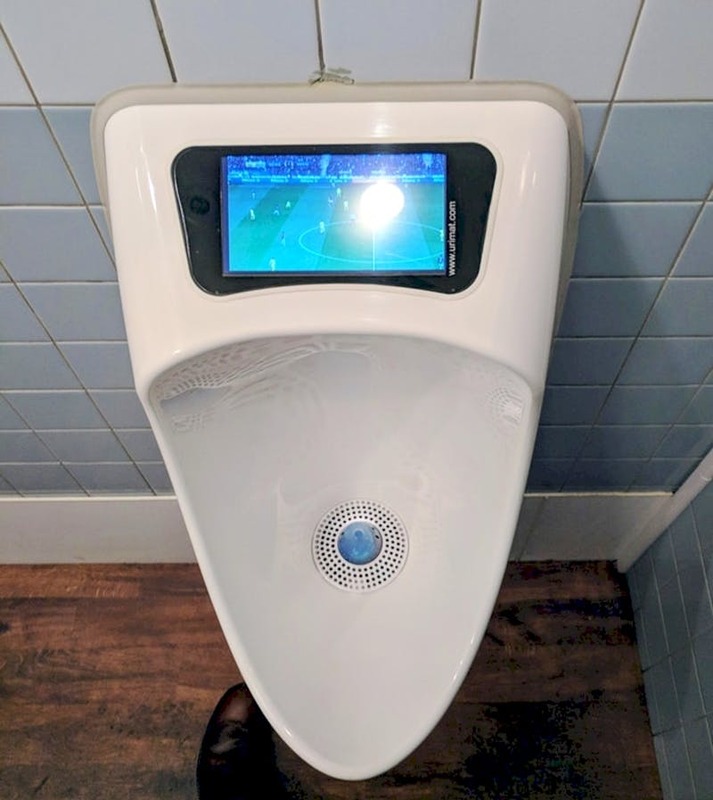 We need to say that we are aware of the fact that many people would be delighted to visit a place which has displays built in the urinals! It definitely sounds like a fun place to be, despite the fact that it is a weird way to show you care about your guests. However, sports fans that would do anything to be able to see every single second of the game would be delighted! 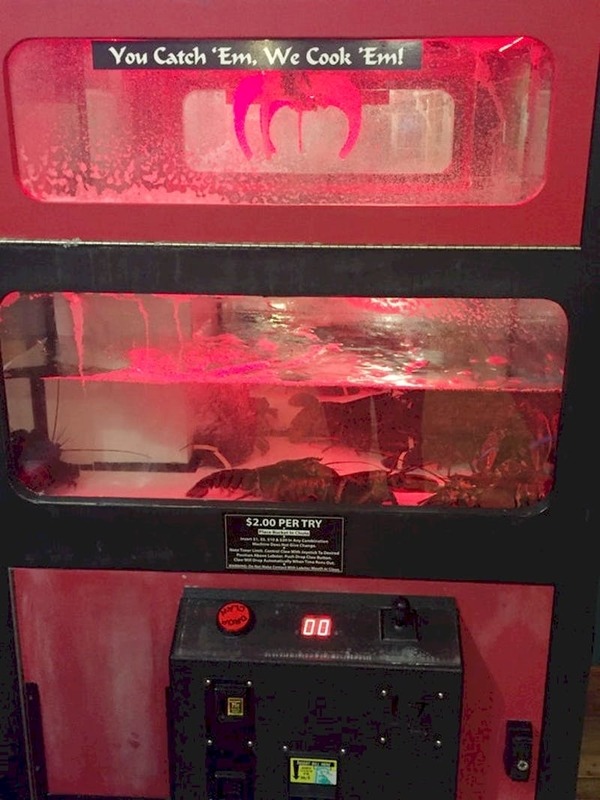 This does not change the fact that the display would be covered in all kinds of germs. The whole idea appears to be a bit weird. As we could all agree, public restrooms are nobody’s favorite place. We guess that the people who dislike these places the most are the ones who maintain these places. Imagine the horrific things they must have seen! It is understandable that they would like to visit them as rarely as possible, and this device is not making it any easier for them! 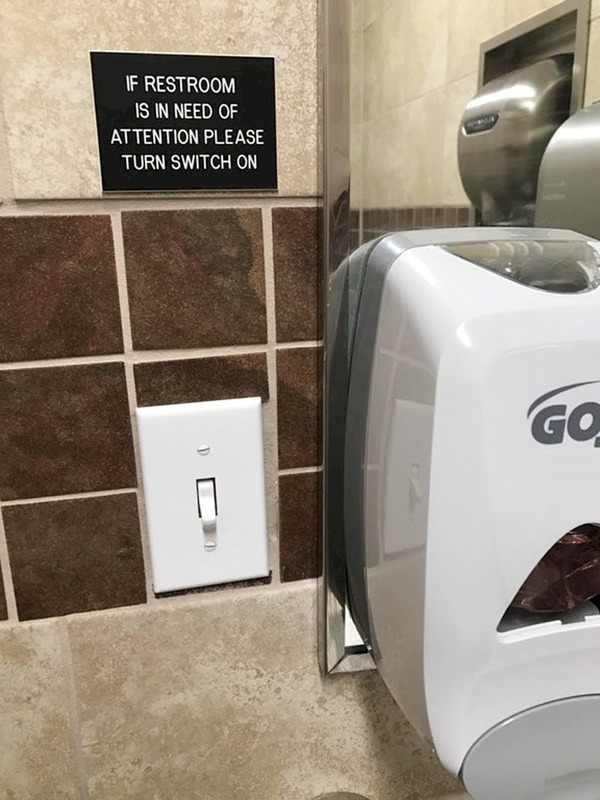 This button might appear to be a helpful option in order for the restroom to be kept clean all the time, but the cleaning staff members most probably despise its existence! Well, the end result of whatever happened here is more than obvious. This SUV is in the weirdest possible place and we really wonder how it got there in the first place. It seems that someone made a wrong choice at one point, and that might be the key to the story. Maybe the driver behind the wheel had zero experience and did something risky or maybe they just mistook the gas pedal for the break. 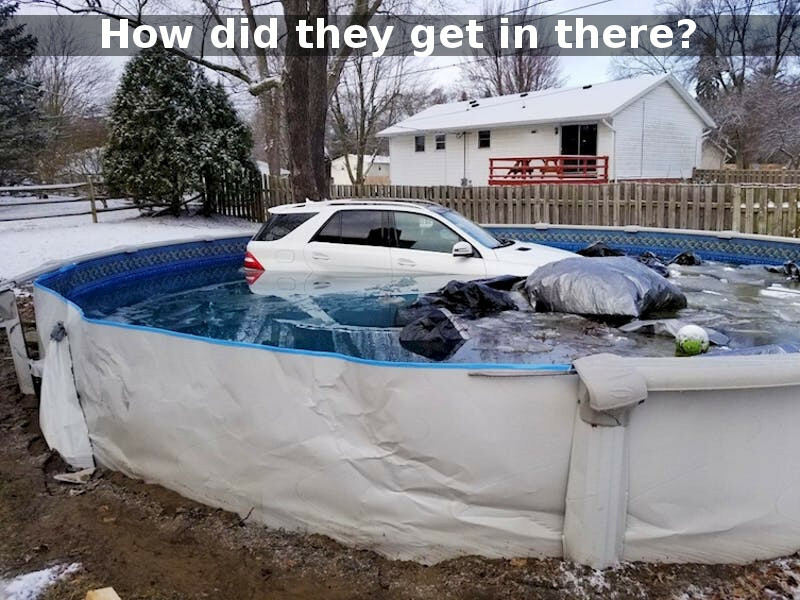 The pool is actually pretty high, so the vehicle must have jumped inside. It was probably quite the stunt, and whatever the reason for it was, it was a bad idea for sure! Sometimes people break stuff for no reason. Damaging public or private property is wrong, not to mention that is pursued by law. Vandals seem to be able to cause damage in all sorts of ways. The most popular way to do it is using spray paint to create graffiti but not everyone chooses this option. 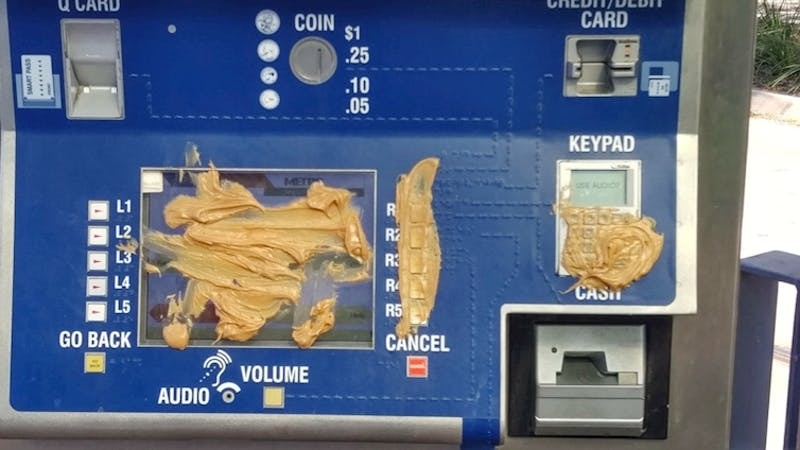 As you can see, someone decided to apply an alternative way of vandalism/ the unknown person decided to spread peanut butter all over this machine! Of course, this is more than weird, but what is even worse is that this person wasted a significant amount of peanut butter! Well, we need to admit that when it comes to private property, people can do pretty much whatever they want. This includes doing controversial or just plain weird things. 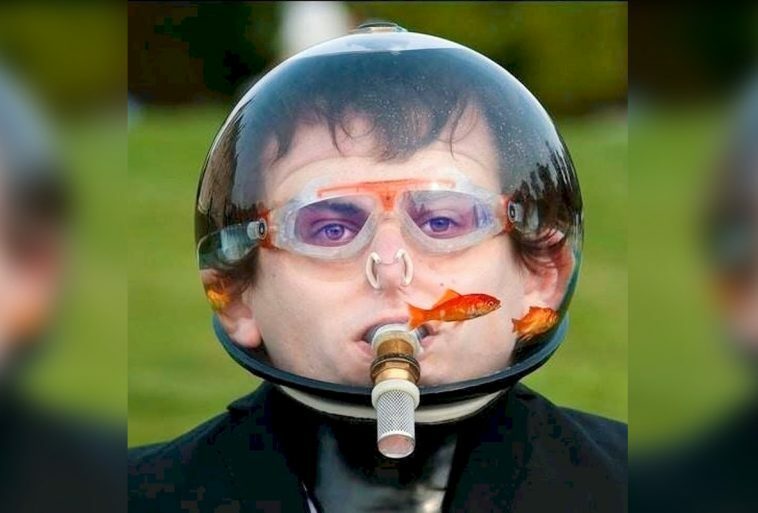 This is image shows something that can definitely be referred to as weird, not to mention dangerous. Someone obviously wanted to do something special and create a spa corner in their home. Unfortunately, this person decided that it should take place on the roof, which explains that bathtub! No matter how you look at it, this is a bad idea! Many people love spending time, money and energy to upgrade their vehicles! The ways to do it are numerous, and most of them are expensive. Of course, the end result is not always as admirable as it should be! In fact, in some cases the vehicle becomes dangerous or at least impractical to use. 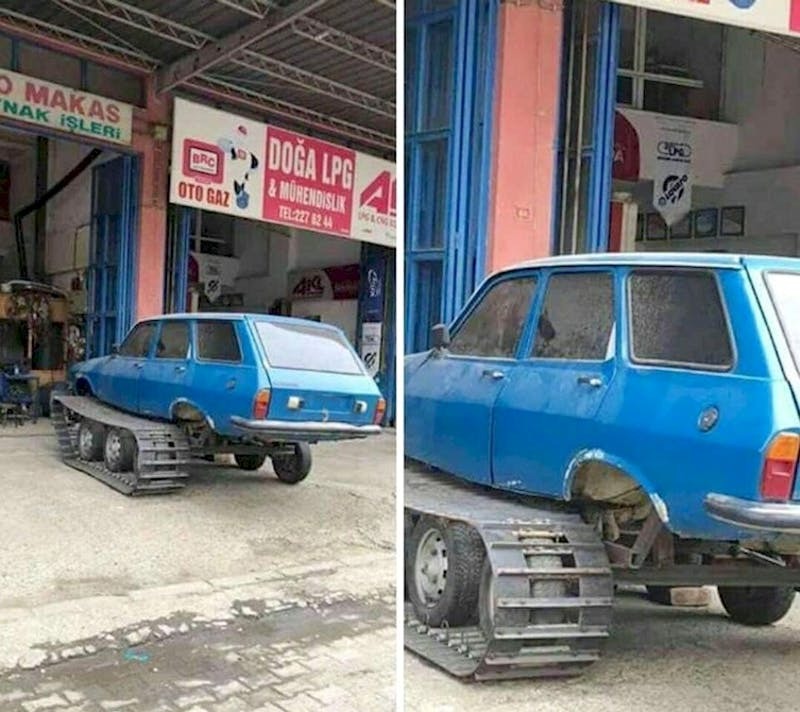 The station wagon someone decided to upgrade looks curious, but a homemade conversion to a tank is definitely a worrying thing to do in terms of safety. Modern products often have the option for personalization! Regardless of what we are talking about, adding a personal touch would definitely make most customers happy. Of course, in some cases the end result might be exactly the opposite! This example is the perfect way to describe this! 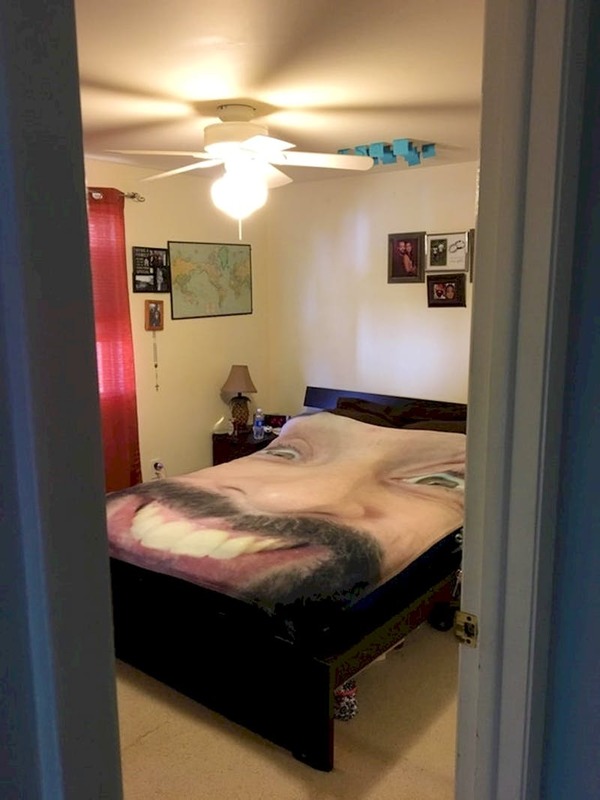 Someone took advantage of the option to add a personalized pattern to their bed liner, but it turned out to be a really weird one! 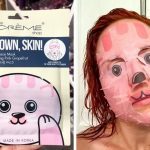 It looks kid of creepy and we would never choose the same kind of image! Well, we need to admit that we are also kind of television addicts and we love watching our favorite shows, just like everyone else! Of course, an important part of this experience is the TV you have at home. The bigger and more expensive the TV is, the better! Some people spare no expense and they are willing to buy the best in order to enjoy watching television to the fullest. 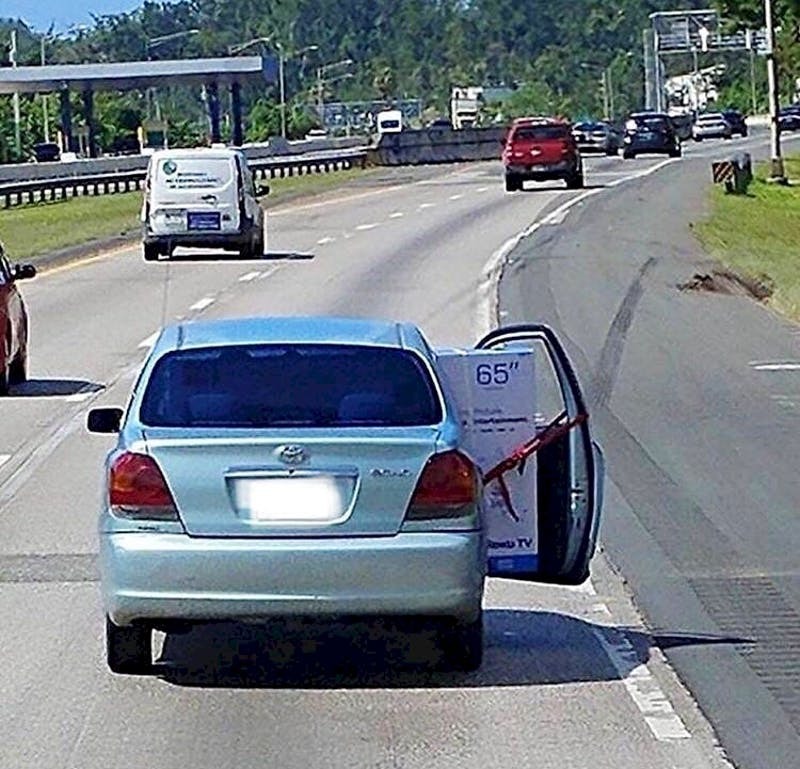 This person made a risky move in order to bring their huge new TV home, and it does not appear to be a good idea in terms of safety!